A fresh new idea and interesting concept, Casumo Casino is a social casino where you level up and are rewarded the more you play, with trophies and “valuables” (free spins etc..) A beautifully designed instant play casino goes hand in hand with NetEnt’s spectacular games. Add an adorably cute meditating little happy tooth dude and Casumo have pretty much won me over. Launched in October 2012, this innovative online casino brings us more than online gambling, it brings us an online gambling adventure. Casumo Casino took me on a journey of instant bonuses and instant play, with no download required. Casumo Casino slot machines are a journey, not just a passing fancy. Casumo Casino (Services Limited) is licensed in Malta under the Maltese Lotteries and Gaming Authority and uses a random number generator. 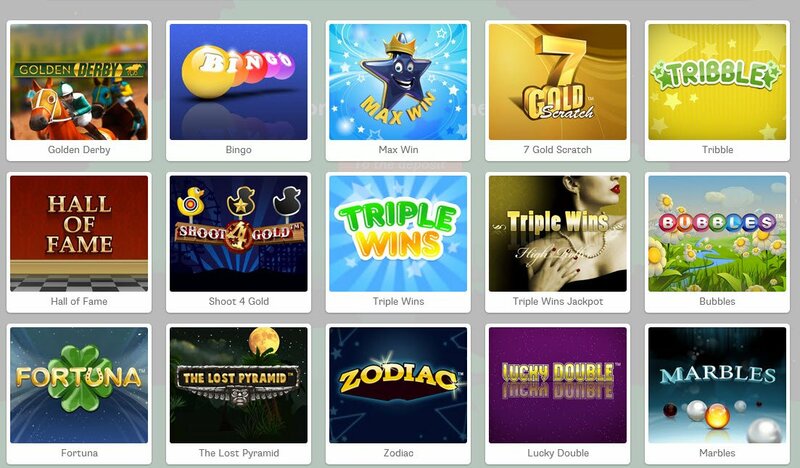 Playing at Casumo Casino won't just get you top quality NetEnt games; it will also let you experience Social Gaming. With the idea that playing at an online casino should not just be fun, but also a way to collect trophies, level up for increased playing power and receive valuable bonuses, like free spins, Casumo Casino bonuses are innovative and neatly designed. The instant play Casumo Casino is actually beautifully designed, with a nice live feed showing you some of the recent winners and making you feel like the whole casino itself is a game to level up in. The Casumo Casino journey is filled with those NetEnt slot machines and table games. There is a divinely nifty feature that takes this whole social gaming casino and raises it and keeps its social responsibility accounted for with Casumo Play Okay so you can easily limit your play if you feel you are getting too involved and spending too much time online. A nice option to help you when things become a little bit too much, more than just fun and exciting wagering. Playing at Casumo Casino won't just get you top quality NetEnt games; it will also let you experience Social Gaming. The Casumo Casino experience wouldn't be complete without NetEnt's quality slot machines, like Magic Portals that will open your casino adventure up to a whole new magical dimension with 64,000 coins up for grabs. Casumo.com also offers games from Microgaming, Thunderkick, IGT and Williams Interactive to name a few. Play Casumo Casino on the go, with mobile (Updated: new version launched in November 2015) on and tablet options available too. 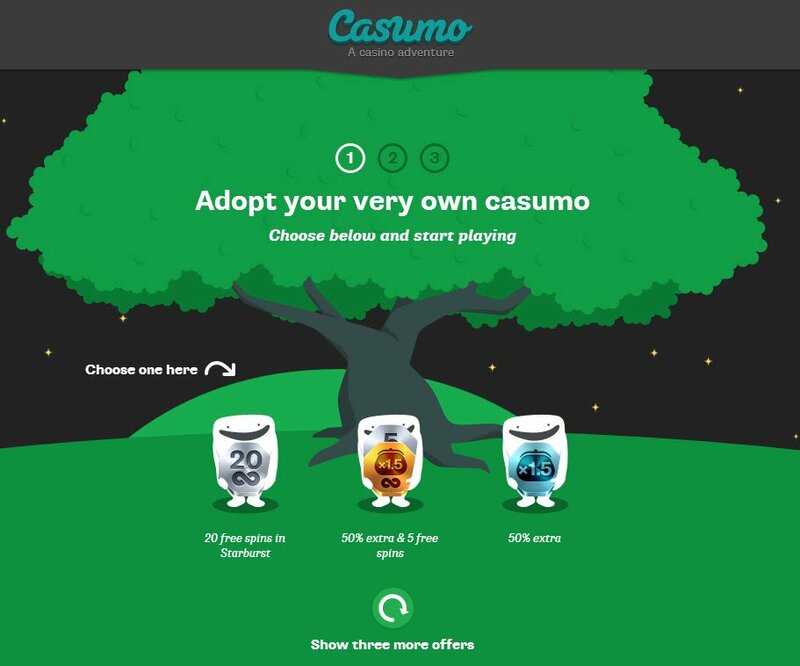 When it comes to signing up for Casumo Casino, you can pick one of three welcome offers immediately. Then it just takes less than a minute before you're in your personal lobby, looking at your "Valuables" which will include whichever offer you chose. If you click on "My Full Adventure" Casumo Casino bonuses and levels will all show up, any you have already received or won will be coloured in. You will be able to see which of the Judo style belts you are on. White is for beginners, through to yellow, red, blue, then purple and finally black. You'll also see how regularly you log in and play with the "Activity" area and you'll be shown your "Big Wins", the more of which you accumulate, the more trophies you receive. You'll then see a whole host of NetEnt slots, and you'll be able to increase your way up the trophies available the more times you win on them. At the top are some hilly mountains that will let you keep overall track of your progress in Casumo Casino. Live Chat and email is available around the clock and you can easily open a new chat window during these hours. I couldn't find any telephone numbers to call, but there was a cute email address, hey@casumo.com, for those who want to say hey, or ask questions and receive quality support. Banking options are fairly limited, but include all the major casino deposit methods.